Mercenary Kings Trainer. Mercenary Kings is a side-scrolling shoot ’em up game developed and published by Tribute Games. The game, created by the team behind Scott Pilgrim vs. the World: The Game, was funded by Kickstarter and will be released for Windows and PlayStation 4 in Q3/Q4 2013. An early-access version of the game was released on Steam on July 23, 2013. 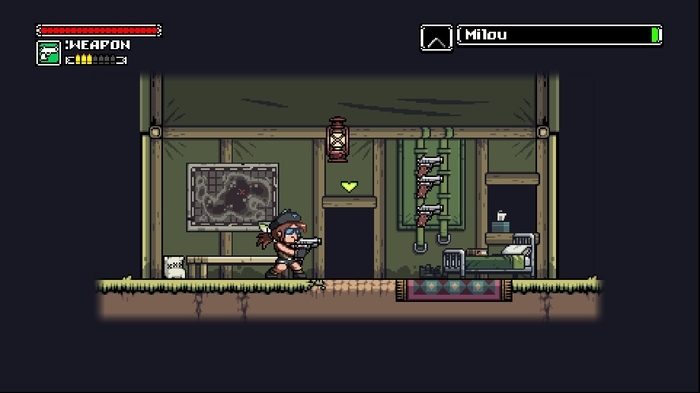 Mercenary Kings is a side-scrolling shoot ’em up similar to games such as Metal Slug, in which players fight against hordes of enemies and rescue hostages. Players have the ability to craft their arsenal and upgrade their armor, as well play alongside three other players, locally or online. Wikipedia®. In this frantic 2D action game, you are part of the Mercenary Kings, the most skilled team of warriors-for-hire on Earth, but when your comrades have fallen and the fearsome forces of CLAW have seized an island-wide top secret Laboratory Base, you must do what it takes to stop them. But you’re not going in unprepared! Your back-up is made of a crew of rogue geniuses and experts of their field! Able to craft & customize guns’n’blades or upgrading body armor, you’ve never been this ready to join the fight. Whether its solo or with friends, move out, cut down CLAW and save the world! Activate this trainer for the side-scrolling shoot ‘em up game Mercenary Kings and you will receive the following Cheats: infinite health, infinite money, infinite ammo, infinite resources, infinite mission timer, one hit kill. Note: This cheat tool is for the version v1.1.0.10097 of the game Mercenary Kings.